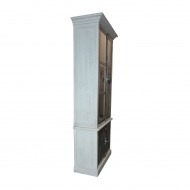 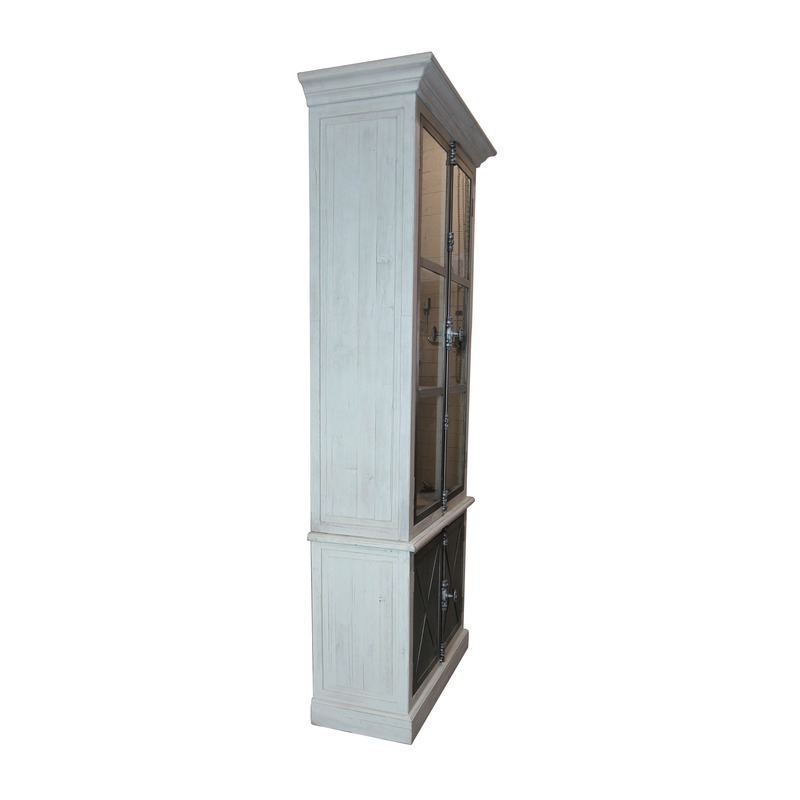 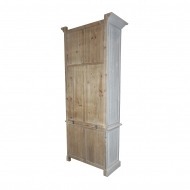 Ansley Vitrine - White x White - Antique and Fine Decor for the Home. Glass front vitrine cabinet made of solid reclaimed pine with white wash finish outside and inside. 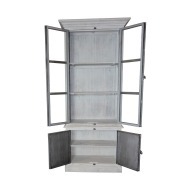 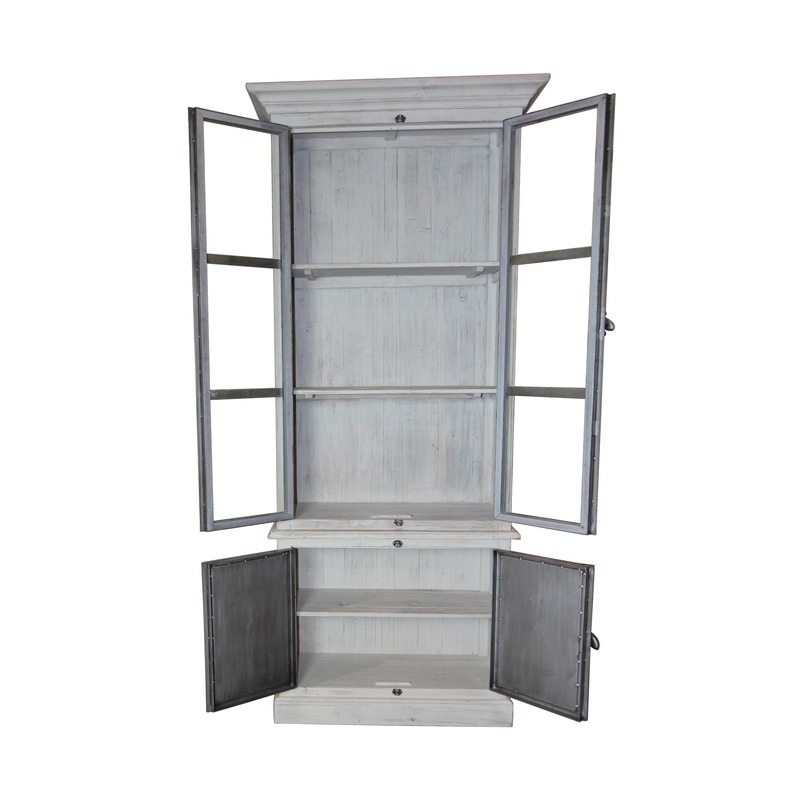 Upper and lower doors are made of gunmetal gray finished iron giving the vitrine an industrial vibe. 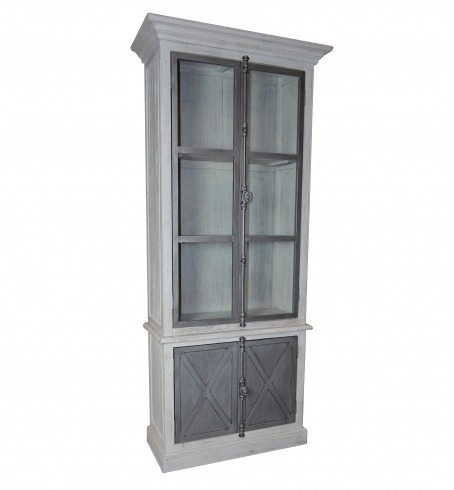 French casement style iron door hardware. 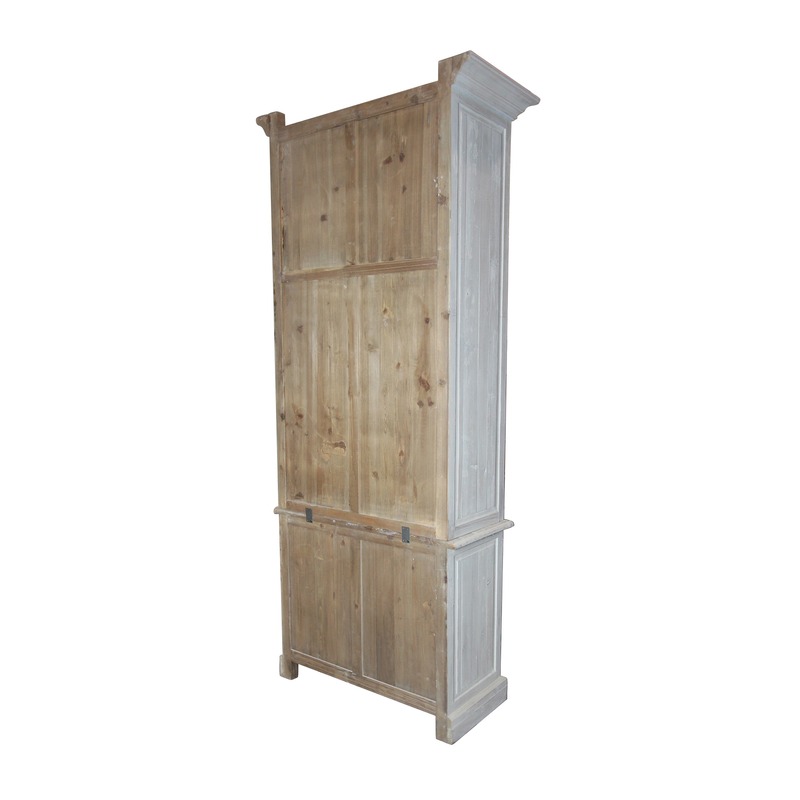 Two fixed shelves on top and one on the bottom are 32"W x 12.5"D. . Reclaimed pine, by nature, is apt to have knots, nail holes and imperfections adding charm and character and should be expected with this item.